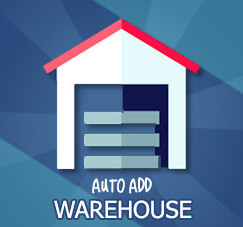 If you want to add new warehouse, please make sure that your new warehouse is auto added to all of your existing items on your database company. Sometimes, it’ll takes a long time when you have a lot of master data item, and you need to create new warehouse, this tip will be very useful and will save a lot of your time. This is so important to make sure this option was ticked, before adding a new warehouse on SAP. Just tick on option Auto Add All Warehouse to New and Existing Items. 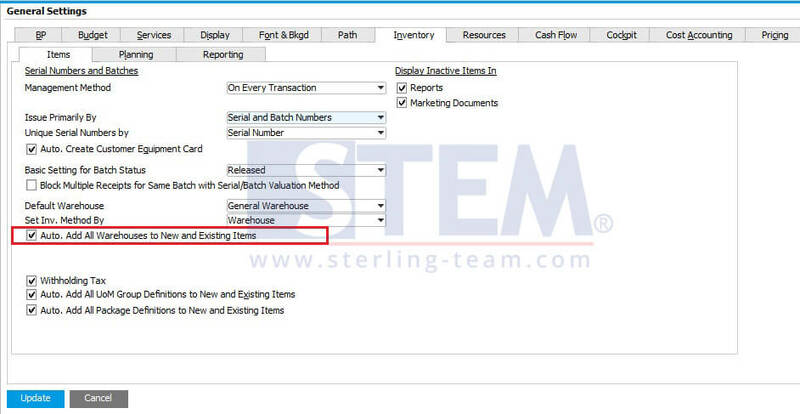 So, your user won’t have a problem when adding new item master data to your new warehouse or when they want to adjust stock position for the new warehouse.